French TV series <em>Les revenants</em> (<em>The Returned</em>) explores what happens when the dead return to their old lives. Perhaps one of the biggest mysteries we face in life is the question of what happens after it ends. It’s an enigma for which many religions have sought to provide an answer, often proposing that metaphysical existence lives on, even after the moment the body flatlines. A variety of television shows have also taken their creative cracks at interpreting death and its implications. But France’s Les revenants (The Returned), no Netflix, provides an especially staggering new spin on the subject of mortality, one that perhaps many would consider as ideal as it is implausible: death as a temporary state from which ​— ​you guessed it ​— ​we can return. Whether it is physically, or only metaphysically, is for us to discover. Seems appealing at first, but Les revenants quickly upsets any solace we may find in the thought of impermanent death. Each episode is dedicated to a single character, piloting with Camille (Yara Pilartz), who is first introduced as any other 15-year-old, earbuds in and head in the clouds, as she sits on a bus among her classmates. As the bus winds gracefully higher into the Alps, we all but expect its sudden swerve off the side of a cliff. There are no survivors. Still, death doesn’t stop Camille and others from coming back unscathed, in the precise physical states in which they had departed days, years, or even decades earlier. In Camille’s case, four long years pass before she climbs back onto the cliff-side freeway and into the lives of her family members, who are both elated and petrified by her return. She is oblivious to the fact that she had been, or perhaps still is, dead. And that’s just it, we never know. Each episode brings us just a little bit closer to finding out. Unlike other shows in which the deceased return, what makes Les revenants so uncanny is that it’s impossible to distinguish between the living and the dead ​— ​there are no zombies, no vampires. Just people. But the show’s simultaneous dedication to and disruption of reality, leaves us wondering whether the returned are simply the figments of townsfolk’s deluded imaginations. The muddling between the imagined and the real is perhaps shown best in the story of Simon (Pierre Perrier), another returned, who committed suicide on his wedding day 10 years before the story is set. His ex-fiancée Adèle (Clotilde Hesme), who has since moved on and prepared to marry the town’s chief of police, is convinced that Simon exists only in her head. Nothing distinguishes his recent return from the haunting visions she experienced in her trauma following his death. In addition to the resurrection of the deceased, a flooded city begins to reemerge after being submerged 35 years prior by a ruptured dam, which left hundreds dead. As the old city slowly resurfaces, all power in the new town is lost, leaving its current residents without electricity and in total darkness. As the show progresses, it becomes more evident that in many cases, the resurrection of the old does not behoove those still alive, but instead induces more pain and suffering than had their original deaths. So perhaps an even bigger question the show poses is whether the past and the present can, in fact, coexist harmoniously. Les revenants takes on particularly interesting significance when looked at through the lens of the contemporary landscape. Can old-world traditions be reintegrated successfully into present-day society? Maybe, more than anything, the show is a lesson on accepting change. Can the past ever smoothly encroach upon our present, or is it best to simply allow the laws of life and death, evolution and progress, take their natural course? 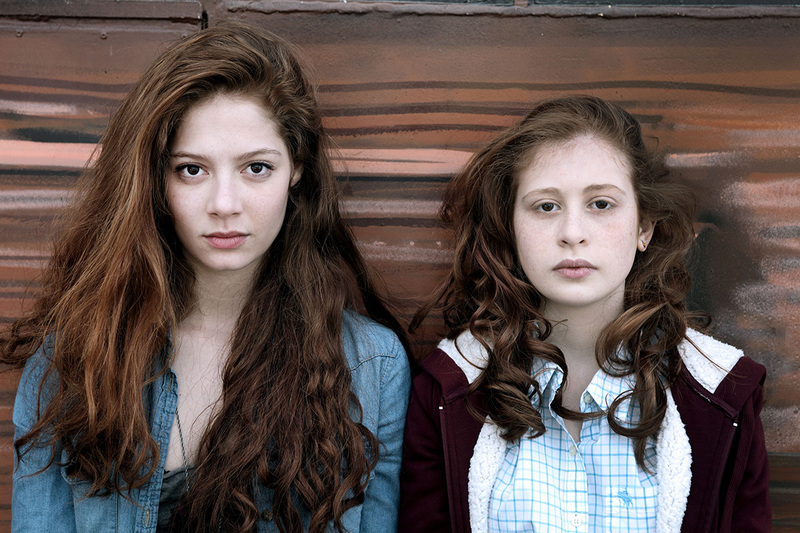 Les revenants encourages us to ask these questions, but the answers are up to us to uncover.